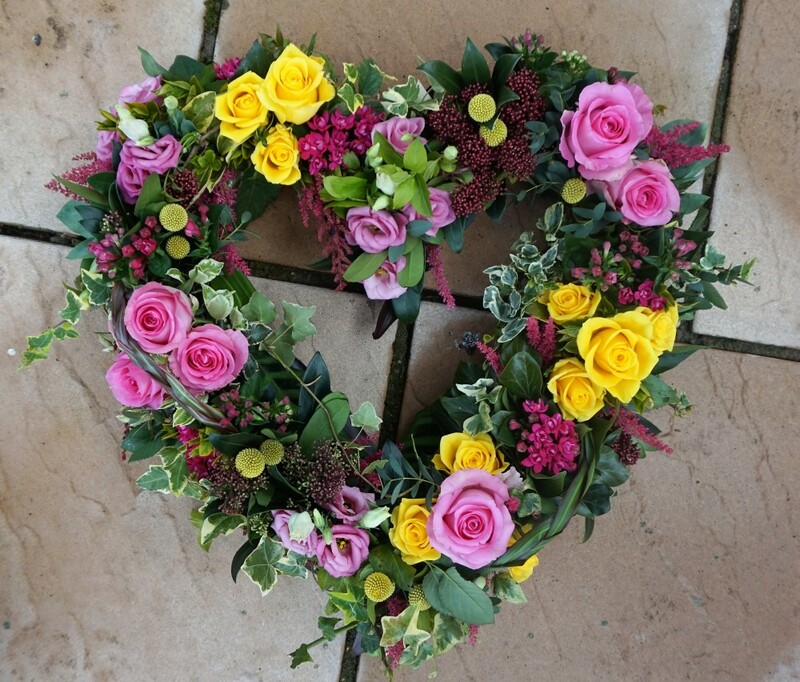 A mixed flower open heart is a modern twist on a traditional funeral tribute. It is full of mixed flowers, which includes groups of Roses, Spray Carnations and other flowers which have been thoughtfully selected to complement the design. It is edged in hand pleated ribbon in a colour co-ordinating waterproof ribbon.